(BGF) – Today (December 12, 2013) the Boston Global Forum (BGF) will launch its new Boston Global Forum Leaders Program. The Program will engage approximately 1,000 global leaders in areas such as innovation, business, public policy, human rights, the arts, and academia by promoting the leaders’ professional achievements such as publications, speeches, and events. In addition, the Boston Global Forum will seek out young global thinkers whose talents coincide with the Leaders Program mission. Governor Dukakis will address his vision of the world today, but his primary focus will be the BGF’s first year and its work surrounding global labor standards. Following the tragic factory collapse in Bangladesh, the Boston Global Forum hosted an online, social-media-friendly conference in November in which its principal scholars sought international perspectives for solutions to the substandard working conditions facing many people in the developing world. 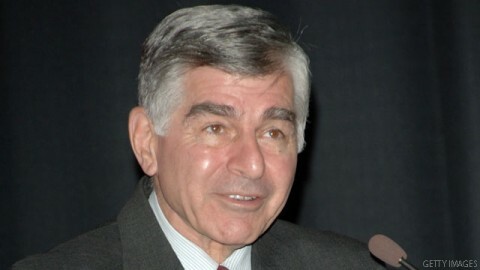 As with all Boston Global Forum events, those who cannot attend the talk in person are encouraged to participate online by submitting questions to Governor Dukakis at office@bostonglobalforum.com.